has been described as having only a limited architectural merit, though distinct traces of the Butterfield style can be seen. 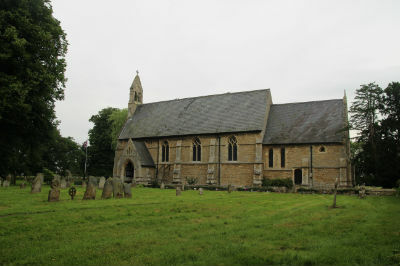 The building is of conventional design, a `typical Victorian Church of the mid 19th Century' built in a modern Gothic style with a Chancel, four-bay Nave, North Aisle, South Porch (shown here) and a two-bell turret. 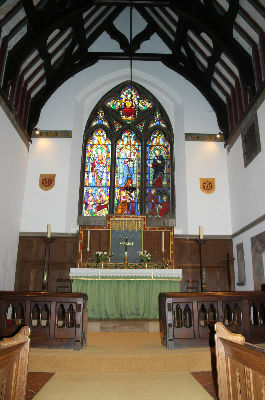 The Chancel contains an eastward facing Holy Table, still used on high days, overlooked by the late Victorian stained glass of the east window. 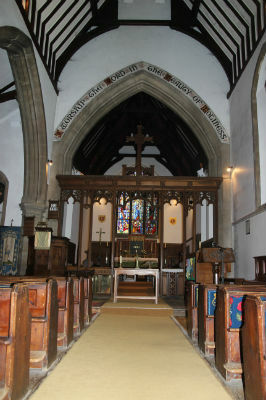 The chancel contains modern oak choir stalls and painted decoration dating to the restoration of the church in 1896. High on the south wall, just below the line of the roof beams, can be seen a wooden ventilation door to allow the escape of fumes, dating to a time when the church was heated by coal fired stoves. 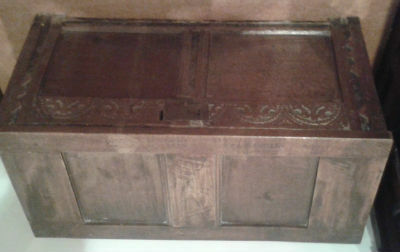 Parish Chests were often used to store important documents and treasures. Found in this chest, and later restored, were the damaged chalice and paten originally used in divine service when the Church was first consecrated. Early in the 19th Century York Minster survived a fire. 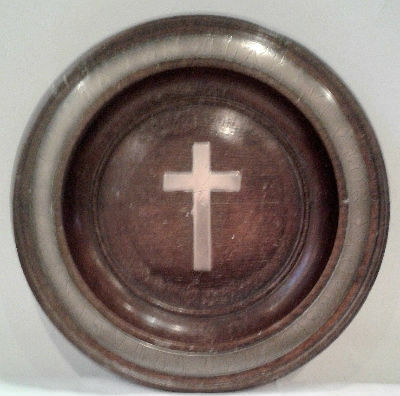 This Alms Dish, a gift from Revd A J Parkinson (a former Curate at Pinchbeck St Mary) was made from oak which survived the fire, and contains ornaments made from bell metal from the same source. 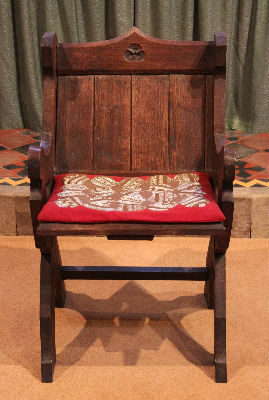 The artistic oak Bishop's Chair, donated in 1908 and made by Mr Alf Clifton, is fashioned from a buried oak tree lying significantly below the current soil level, which came to light during the excavation of the Forty Foot Drain. The Rood Screen, visible just behind the holy table in the nave, is a Memorial to the fallen of the Great War, and was installed in 1917. Various brass plaques record the date of its installation and commemorate the dead of this Parish in both World Wars. Within the pews, colourful embroidered kneelers made by members of the congregation and friends of the church, illustrate a range of themes that have been important in parish life. Much of the wall space in St Bartholomew's carries painted decoration dating to the restoration of the building in 1897. 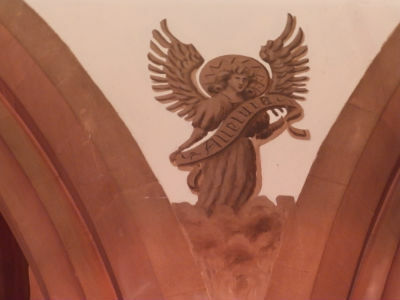 Prominent here are large images of angels between the arches leading to the north aisle - each carries a banner emblazoned with the word "Alleluia". 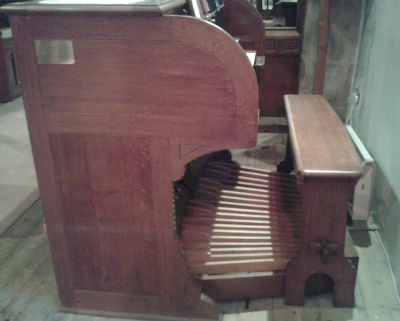 This was installed on the Church's Centenary (1950), replacing a much smaller Organ still in service in a North Lincolnshire church. The rather conspicuous placement of the Console is the result of a decision not to install a dedicated organ loft on the North side of the church; this would have required moving a rather fine stained glass window in the North Aisle, for which no better location could be found. A view of the interior of the north aisle, facing east towards the Lady Chapel with its quatrefoil stained glass depicting the crucifixion. 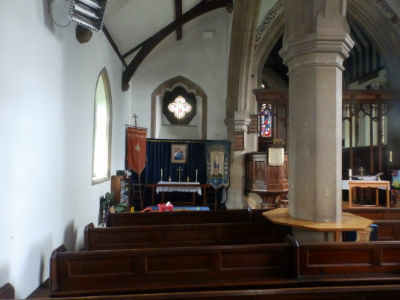 In the chapel, used primarily as a childrens' area during regular worship, hangs the banner of the local branch of the Mothers' Union, now closed. High in the walls of the Church (one in the Chancel, one in the North Aisle and one over the South Porch) are three small doors intended to give ventilation to noxious fumes in the days when the church was heated by coal fired stoves. 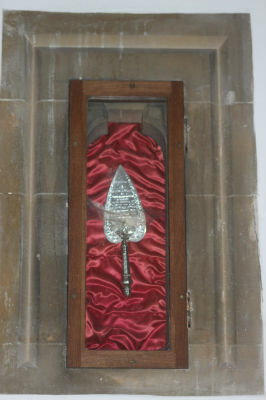 The doorway in the North Aisle was converted, in 1897, to house the ceremonial silver trowel used by Canon Wayet to lay St Bartholomews' first foundation stone. 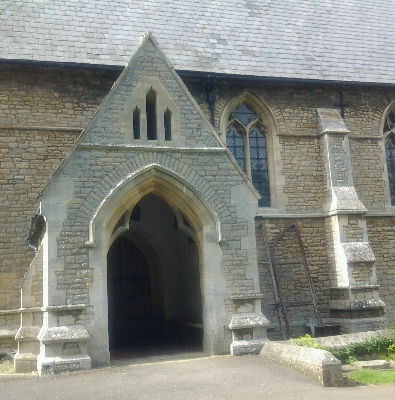 Above the door are the words: `This is the house of God - this is the gateway to heaven'. The lettering is faded and in need of repair, but the sentiment is still very much alive. 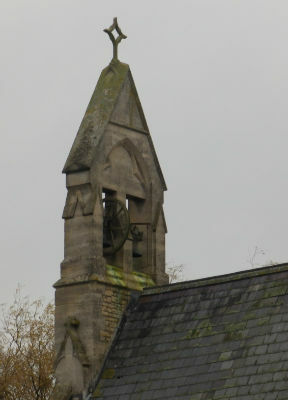 The turret contains two bells, which have not been rung since the 1970s. The Parochial Church Council is currently investigating their re-instatement. 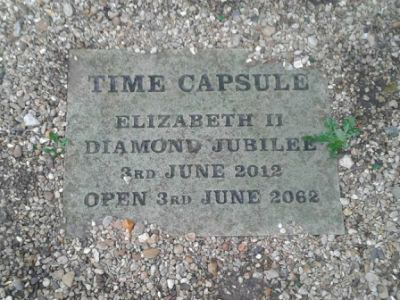 Commemorating the Diamond Jubilee of Elizabeth II - this capsule buried near the south porch contains a number of items indicative of the shape of Parish life in 2012, while the tablet bears the instruction `open in 2062'. .Return to Historic St Bartholomew's.